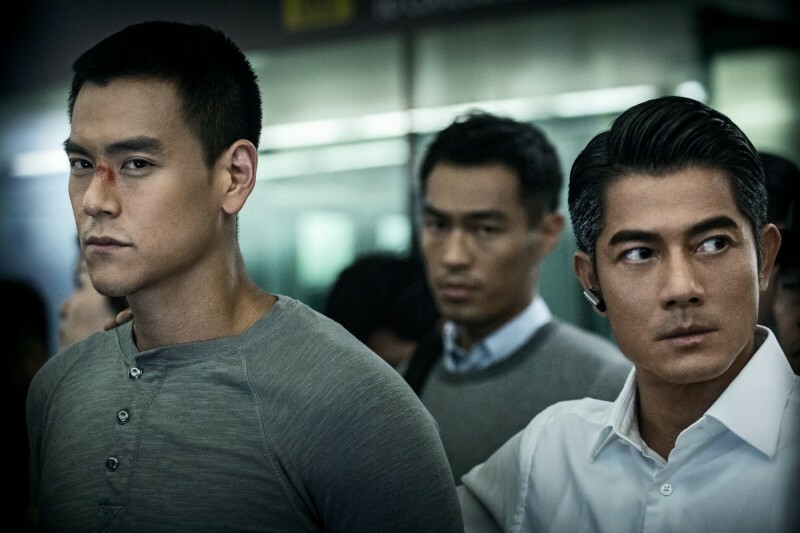 Picking up right where 2012’s Cold War left off, the wife and child of the now-Police Commissioner Sean Lau (Aaron Kwok) are kidnapped by the same group of baddies from first film to demand for the release of prisoner Joe Lee (Eddie Peng), whose father is the retiring Deputy Commissioner of Police Operations, M.B. 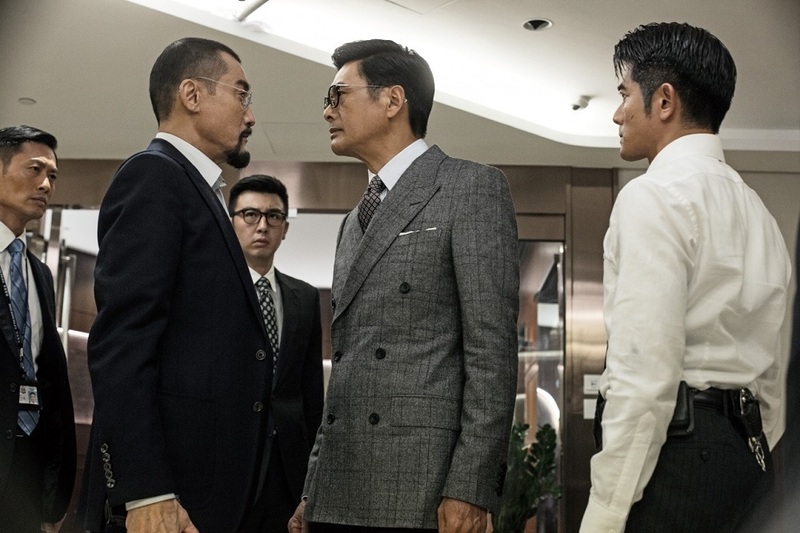 Lee (Tony Leung Ka Fai), and must face both armed terrorists and prosecutors at the same time as it slowly becomes clear that he’s the actual target in the bigger picture. The sequel dives further deep into the schemes and motives of the masterminds of the chaos created to bring down the police force that’s trying so hard to uphold Hong Kong’s reputation as Asia’s safest city. For a sequel that took four years to release, I can’t help but to feel a little disappointed with how it turned out. It basically offers the same police procedural thrills and power-struggle tension as the first film, with the addition of plot expansion involving internal politics and court drama featuring new characters plucked out from thin air who were never introduced in the first film, leaving a few main aspects underdeveloped, and not to mention the sudden change of supposedly strict character principles without well building up their depths that this sequel seriously needed. Perhaps the thing that I was disappointed with the most is the transition of the character M.B, Lee, who’s perhaps my favourite character in the first film. The writer-directors Longman Leung and Sunny Luk (also co-written by Jack Ng) turned this raw and fiery but respectable, righteous man into something else simply with his son and former subordinates as plot device. Though his dilemma on loyalty and fatherly love may seem like clever writing, but it feels less impactful than it could’ve been due to the unbalanced narrative and pacing, just like how Joe Lee suddenly went Primal Fear in the first film (come on, we don’t even know this character enough to be surprised!). But despite all that, Tony Leung’s performance is the only thing that’s superior than the first film. 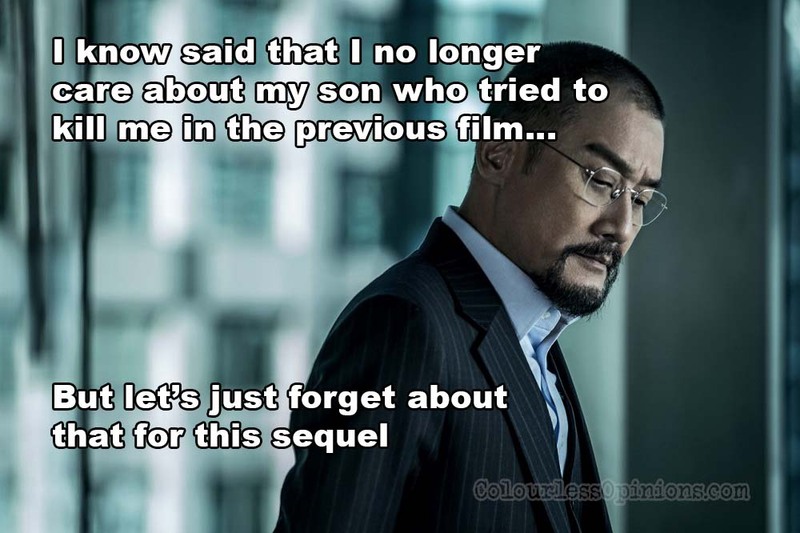 He won Best Actor in the 32nd Hong Kong Film Awards for this role, I wouldn’t be surprised if he’s nominated again for his display in this sequel. 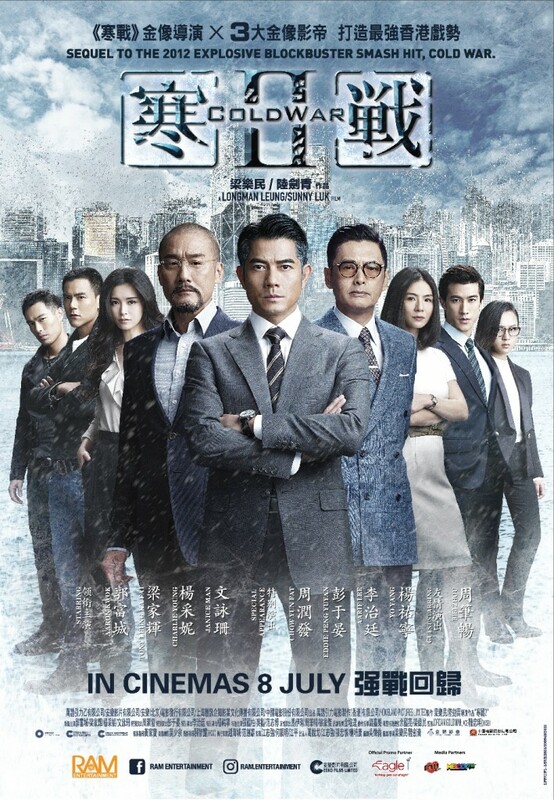 While the performance by Kwok as Lau, the intelligent and composed young Police Commissioner but troubled with so much more at stake, is as decent as the first film, the other cast members’ are mediocre at best, including but not limited to new additions Chow Yun Fat and Janice Man. The latter’s performance almost single-handedly dumbed down the serious and grim tone of the film to the melodramatic standards of TVB series. The development of Chow and Man’s characters as prosecutors Oswald Kan and May Au respectively are so rushed that it gives zero payoff — what a waste of time that could’ve been used to develop other characters. But at the very least, Leung-Luk have reduced the screen time of Aarif Rahman Lee (as Billy Cheung) who was way out of his acting depth in the first film. Is the film horrible? Not really. It’s an ambitious cat-and-mouse thriller with some okay action and a complex theme about how the younger generations are pawns for old men to cling onto power. The scores by Peter Kam once again play a large role in keeping the film intense and engaging while soothing the cheesy and corny moments. But it’s just very unfortunate that its plot, characters and narratives aren’t credible enough. And for this genre, if that’s not done well enough, the whole thing crumbles and all that intense drama would carry less weight that it very much requires. If I were the producers, I’d remake the superior first film as a standalone, solve its third act problems, and remove that last scene to leave no opening for unnecessary sequels such as this. Whatever it’s gonna suddenly explain in Cold War 3 would be too late. Malaysia censorship: No noticeable jump. Even a clear headshot kill is not censored, unlike for Deadpool. Our beloved board of film censorship continues its inconsistencies. Second opinion: My girlfriend said although she liked the first one more too, she didn’t dislike this sequel but finds it confusing. Verdict: A watchable and yet disappointing sequel. One thing for sure, don’t watch it if you haven’t seen the first one.